One of the strategies that I use when creating lesson plans is to reflect on the previous lesson. Part of that reflection includes feedback from students. This can be done by simply asking students to raise their hands in response to a "did you get it?" type of question, but I like to have better record of responses than just a hand count. 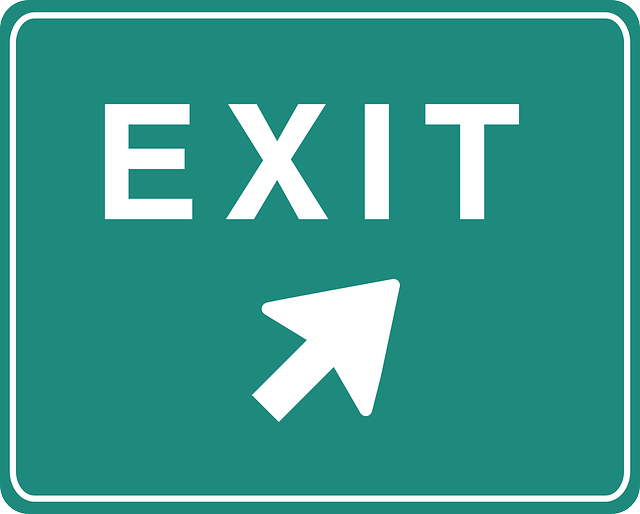 Here are some tools that can be used for collecting exit information from students. Almost as soon as my school went 1:1 with netbooks, I started using Google Forms to collect responses from students. The Form that I created and frequently re-used simply asked students to respond to "what did you learn today?" and "what questions do you have for next class?" I started using Padlet back when it was called WallWisher. Padlet enables me to have students not only share exit responses as text, but to also share exit responses as hyperlinks. For example, if my students have been working on research projects I will ask them to share a link to something they found that day along with an explanation of how it is relevant to their research. If not every student in your classroom has a laptop or tablet to use, then you need to check out Plickers as a student response system. Plickers uses a teacher's iPad or Android tablet in conjunction with a series of QR codes to create a student response system. Students are given a set of QR codes on large index cards. The codes are assigned to students. Each code card can be turned in four orientations. Each orientation provides a different answer. When the teacher is ready to collect data, he or she uses the Plickers mobile app to scan the cards to see a bar graph of responses. In your teacher account on Plickers you can view and save all of the data that you collected from scanning your students' Plickers cards. PingPong provides you with a free and easy way to collect feedback from students in the forms of multiple choice, true/false, and short answer questions. PingPong also lets you collect sketches from students which is a great way to have students illustrate solutions to mathematics problems or to submit diagrams to answer a question. A video demonstration of PingPong is included in this post. Formative provides you with a place to create online classrooms. Your students join your classroom by entering the assigned class code after registering on the Formative website. Once your classroom is established you can begin distributing assignments to students. Assignments can be as simple as one question exit tickets like "what did you learn today?" to complex quizzes that use a combination of multiple choice, short answer, and true/false questions. You can assign point values to questions or leave them as ungraded questions. The best feature of Formative is the option to create "show your work" questions. "Show your work" questions enables students to draw responses and or upload pictures as responses to your questions. When you use this question type students will see a blank canvas directly below the question. On that canvas they can draw and or type responses. I will be sharing more ideas for using Google Forms in my Practical Ed Tech course Getting Ready for GAFE. That course starts in October.